t*rexes and tiaras: gunna get you in my paws and give you a bear hug..
gunna get you in my paws and give you a bear hug..
just another quick post from earlier in the week, one of the sale-bargain items which i hadn't got around to wearing yet - this skirt, £5 from primark..i have a couple of others already in the same style and shape as this one, and i loved the oranges in the print, hence teaming it with the trusty orange jumper for a chilly day..
also, one of my best vintage store bargains ever, this coat - bought years ago, it is my go-to (despite not being my only furry coat) everytime the weather gets cold, and it must have paid for itself ten times over on a cost-per-wear basis; it's like wearing a big hug! 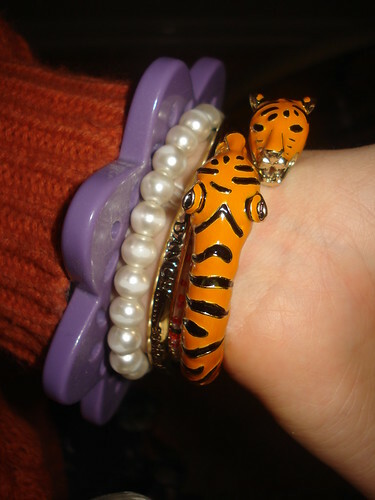 after having a bit of a recent clear-out i'm also trying to make a concerted effort to wear more of my jewellery, which is the reason for the mish-mash of arm attire..
You look snug as a bug in that faux fur, no wonder you keep bringing it out in the cold weather! 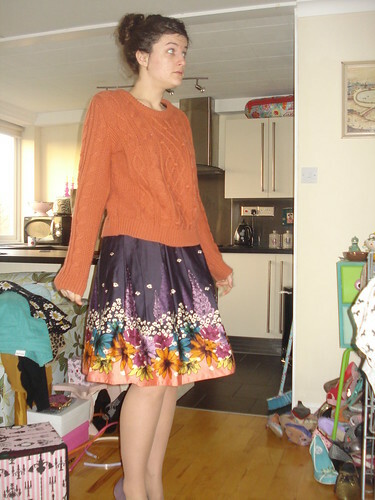 That skirt and jumper go so well together. Love this outfit. 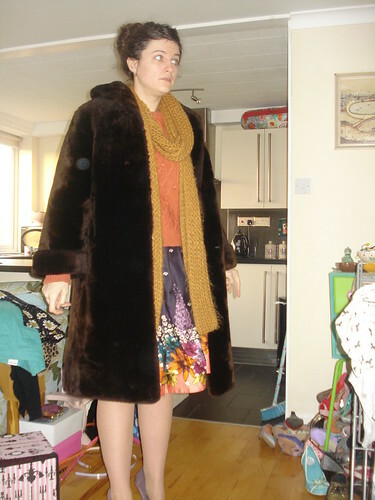 love that fur coat! I'm trying to remember to wear jewellery more often. I'm terrible for completely forgetting. You look so lovely, what a great combo. How on earth is that skirt Primark? It looks really expensive and such a beautiful print. I think I need a fur too, I'm cold to the bones. I have that jumper but in mustard yellow! I am wearing it right now in fact, so cosy for this cold weather. Love this outfit, especially the bracelets! love love love this, it's so eclectic. Mmmm, I love the furry coat!!! The tiger is very very cute!!! 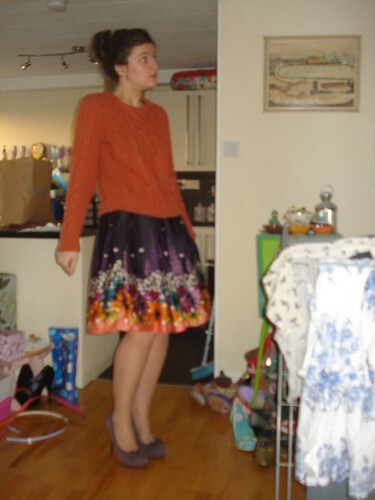 Love the amazing skirt, what a bargain! That is such a pretty skirt, it looks lovely.